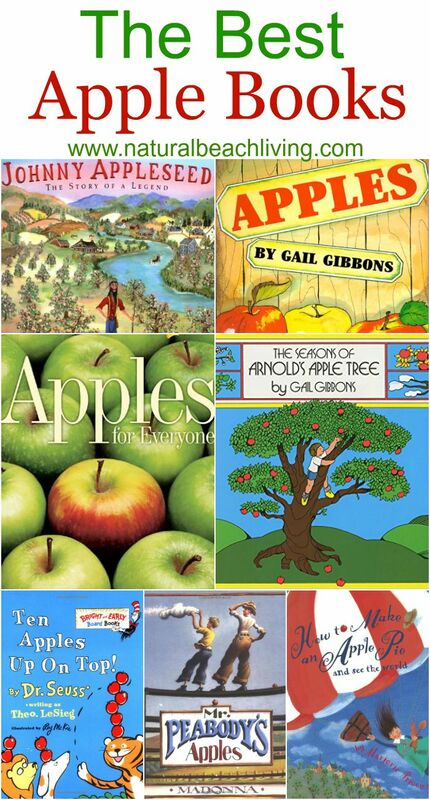 Are you ready for a few great apple activities? Please say yes! 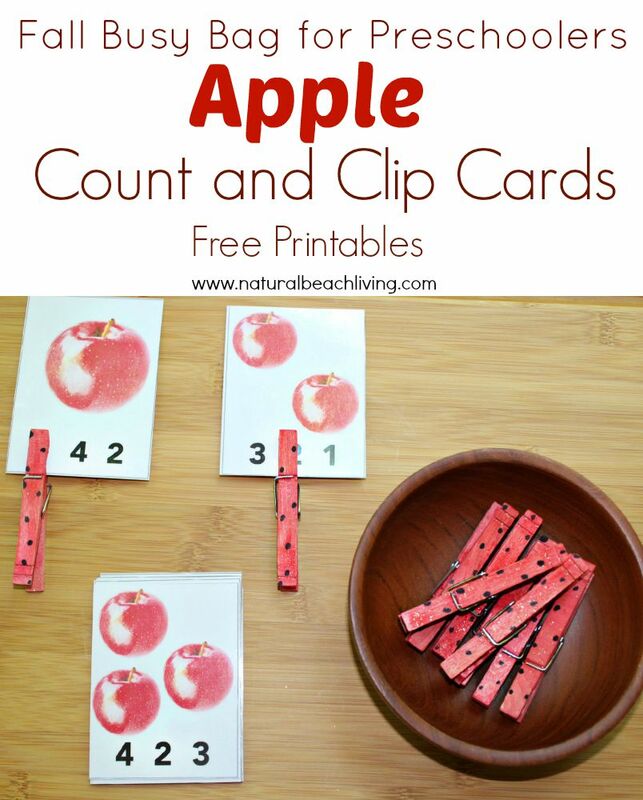 We finished up our apple theme this week and just had to share these fabulous ideas and apple theme printables. 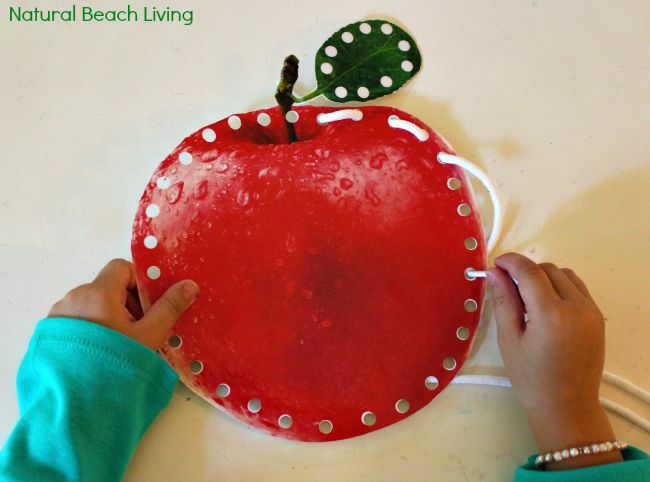 Today includes fun apple science ideas and this super cool lacing apple for working fine motor skills. 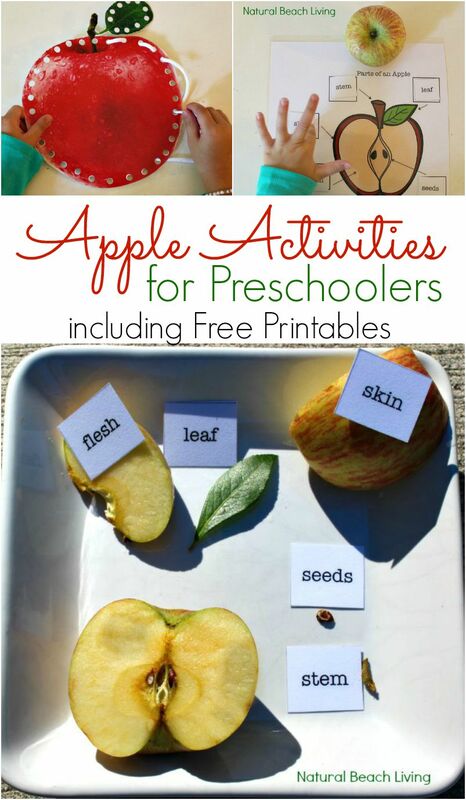 You can find lots of preschool apple theme activities and lesson plans here. 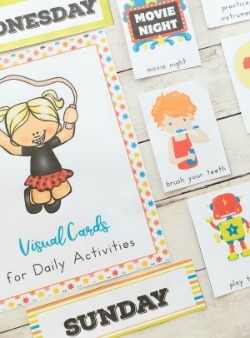 Plus, download your free printables below for the perfect fall preschool theme. Hopefully, you’re not bored with apple activities yet, because I have some great ones to share with you today. Lacing activities are great for children. 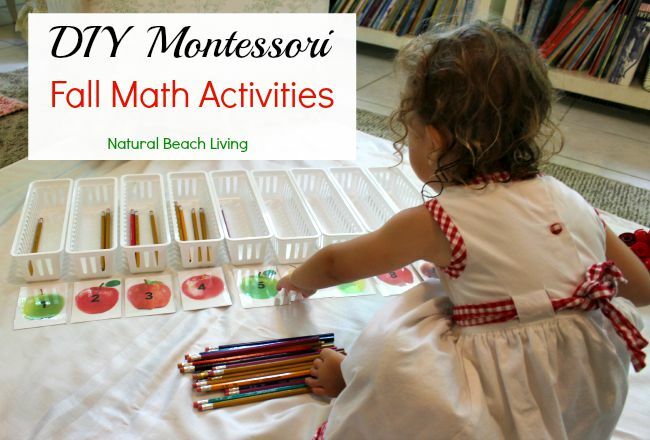 It helps them with concentration and working their fine motor skills. This is a great free printable that you can get below. It goes perfectly by itself or with a fun apple theme. A great science exploration and a lesson for kids. 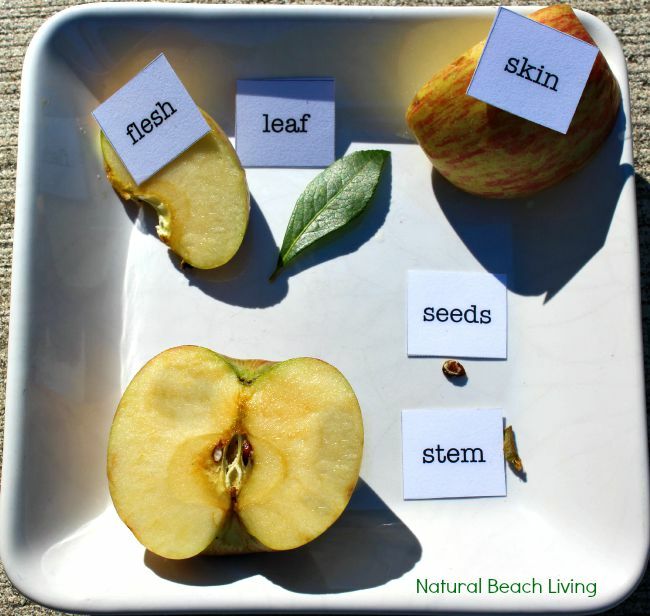 Dissect an apple and let them check out all of the parts. You can easily use the labels offered in the free download. Do you use themes in your homeschool or class? 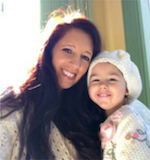 I’ve shared over 200 different preschool themes right here. We love incorporating themes into our learning so I’d love to hear some of your favorites. Feel free to leave me a comment below. We finished off our month of apples with apple snacks. Thank you for all you offer on your site, I couldn’t find the dissection download… did I miss it? It would not download from my email? I would love the download for the apple dissecting! I sent them to your e-mail 🙂 Enjoy! My goodness. Thank you for your beautiful website! Vito would love this, he loves apples! Will try this next year 😀 How fun! 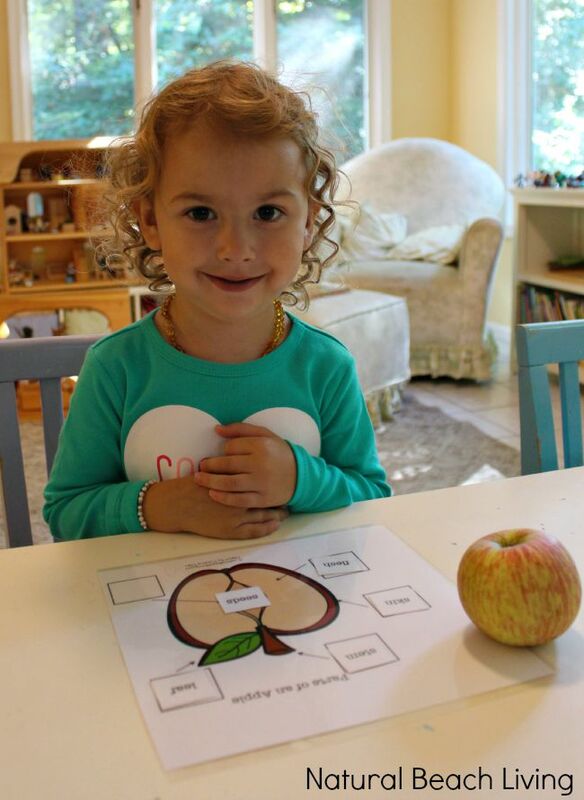 What fun apple activities! 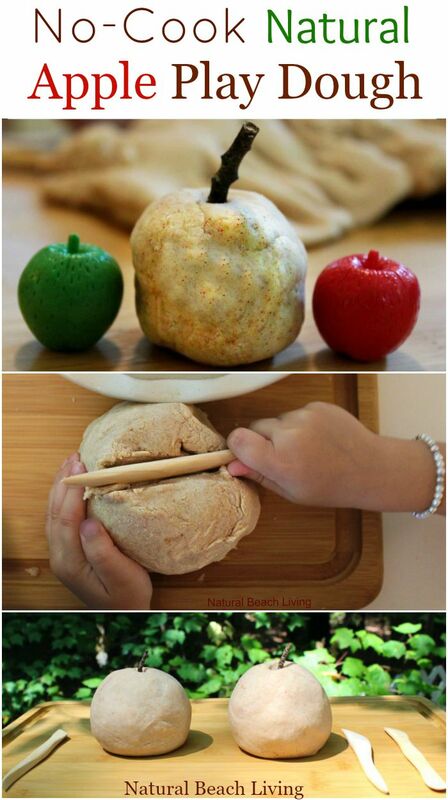 I love the idea of using a real apple for learning parts of an apple! I love all these activities! The lacing apple is SUPER COOL! I also love the awesome printables. 🙂 I’ll have to use those in the future. Thank you 🙂 I’ll be heading over to link up!